7.1 What are some features of Rakuna Recruit App? 7.2 How Rakuna Recruit Dashboard benefits your college recruiting strategy? University campus is a hub of talents. A proper campus recruiting strategy can greatly benefit an organization and create a strong entry-level talent pipeline. The ugly truth is: Career fairs are not cheap! You will attend hiring events while bearing travel costs, booth rentals, promotional materials and so on. Therefore, it is advisable to set your defined goals early on to make the most of every career fair. How do you plan to build your brand among student groups? How to build your pipeline for future openings? Identify your goals to drive the campus recruiting strategy and maximize ROI for every event. Be deliberate when building your relationship with on-campus organizations and career centers as you need to take into account ROI you can achieve. Your time and resources are limited, it would be unwise to invest them in universities that no longer provides a major you target to recruit or did not produce to high-quality hires the previous year. Even if you are the best bud with directors of career centers in your familiar universities, careful re-evaluation of campus partnerships is of importance and a must so that you can find out which result in ROI for your organization. You may even have to leave long-term but ineffective university partnerships to achieve your career fair goals. Recruiting software should be used in favour of tracking each university partnership and identify campuses that result in quality hires. These valuable insights from campus recruiting software will help you make a better decision when registering for career fairs at universities. You never get a second chance to make a first impression. Therefore, why don’t leave an exciting first impression on potential candidates by choosing relevant business representatives! They are often the first people to welcome a candidate and make introduction about your company to them. Therefore, they should be knowledgeable about current positions, enthusiastic about the company, and outgoing and energetic. Selected representatives should have vested interest in engaging qualified candidates; for example: if your campus hiring goal is to recruit entry-level engineers, bring your current engineers to the fair. Students are becoming more active in seeking out information about their prospective employer. They can easily get access to information about your company via your company website, social media and third-party review sites. Make the most out of career event by sharing information that candidates cannot find online. Carefully crafted your promotional material so that you can compellingly convey your key messages to your target students. For example, If you are hiring marketing positions, tailor materials to demonstrate the career path an entry-level marketing professional take at your company. For sales roles, present proudest achievements your sales team have reached or challenging campaigns your sale team have excellently completed. It can be overwhelming at the sight of all materials you need to prepare before your career events: booth attractions, name tags, business cards, giveaways, tablets and so many more. To ease the potential headache in pre-event stage, remember to closely monitor the shipment for each event you would attend. And don’t forget campus recruiting software which comes in handy by helping your team to easily manage all collateral needed at the event. Take time to elaborate your team on a detailed timeline of material drop-off and pick up, booth set-up and breakdown as well as team member responsibilities and shifts for business attendees. Chaos always arrives on the first day of a recruiting event. Therefore, training business attendees is a must that you must not forgo. Allocate enough time for this task before leaving the office. Communicate clearly to your team about your career fair goals and metrics you hope to hit by the end of the event so that everyone can work toward the established goals. Equip business attendees with knowledge on recruiting software so that they get a quick grab at how to assess a candidate and manage schedule interviews with talented students on-the-spot. In pre-event preparation, it is encouraged to designate practicing sessions or mock-up career fairs for business attendees to use the technology and get the hang of the evaluation and scheduling of candidates before arriving on campus. Think ahead of your competitors by crafting a detailed post-event communication plan so that you can save your time in waiting to follow up with candidates after the career fair. 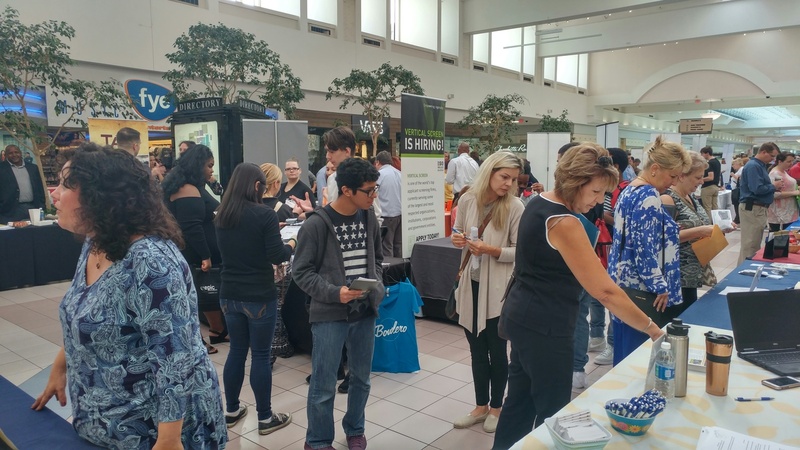 Career fairs bring out opportunities for hundreds of talented students to interact with your brand, learn about the company and make in-person connections. Therefore, make the most out of career events by making a plan for the career event in advance to leave every fair with a pipeline of high-quality potential candidates. Simple gestures of thoughtfulness can yield unexpected results: Send personalized emails to each and every candidate you met, thank them for visiting your booth and put in nice words to encourage them to schedule an interview. Campus recruiting software can make this process a lot easier with an event repository. If a candidate is not ready to process further with you, remember to include them in your talent hub to keep them engaged until they are mature enough to secure a position in your company. Social media allows students to connect with their peers, find out what’s happening in their communities and areas, and search for information that will impact their decisions for the future. If you want to appeal to prospective graduates you have to be active in places where they spend most of their time – it’s just as simple as that. Social media marketing provides recruiters an unique way to engage with prospective students as they travel through their campus recruiting journey. Not only can you offer them a direct view into the company life – you can use social media channels to easily offer quick replies to any questions or concerns they might have, encourage them to connect with other students that share their path and goals, and gain valuable insight into their needs and interests. Make sure your social media marketing strategy involves branding your organization as a cool place to work, where young professionals can continue to learn and grow. Every post conveys something about your company’s culture, so consider what messages you would like to communicate. If effectively implementing campaigns on various social media channels, companies can establish and maintain close relationships with college students or grads, thus help them understand more about the organization and its environment and culture. And by building a deep understanding of the interests and motivations of potential students, recruiters can gain valuable insight into exactly what types of content to convey, and at what stage of their recruiting journey to do so. Graduates are concerned about the career opportunities that your company can offer and how they can develop their careers over time. If they cannot see a future path at your organization, they probably will not apply. So think of what your organization can provide that is unique and that young people would want? Young generations tend to follow their passions, desire to work on something meaningful, develop their career, and have work/life balance. Create an appealing message that attracts graduates. Also, use young professionals to connect and engage with students. Send young professionals or alumni on-campus and encourage them to engage and connect with students. Let them tell positive and compelling stories about their experiences and careers at your organization. Allow students to job shadow and witness the daily operations at your company to help them get a better insight into the job and experience the work environment. Make your content accessible on mobile devices with ease, as that’s the tool the young generation use to find career opportunities. It is a fact that 70% of all job searches start on Google. So leverage search engine optimization for keywords and post content on social media, including your blog, LinkedIn, Facebook pages and Twitter. As you’re putting information out there, you also need to promote your reputation and talent brand by frequently refreshing your content and controlling what is being communicated about your company on sites like Glassdoor. Addressing negative reviews is just as crucial as encouraging your employees to write positive feedbacks and comments. “Keep in touch” is more than just a slogan. Top students are invited to the 8 to 9 events throughout the year, ranging from personal coaching events to professional workshops. So your goal is to stay in contact with your former interns, promote their career development and pave the way for them to join your organization at some point in the future. Let them know the benefits of working with your company and how you are interested in talking with them about a position once they have graduated. Establish email communication that includes studying tips, interview etiquette advice, industry updates or even a good luck note during exam time. Just as consumer brands interact with their customers on social media, connect directly with top student prospects. Send them a good-luck note before their exams or share with them valuable resources for their career and life improvement. Don’t just focus your attention on seniors. Instead, consider all students. It’s never too early to promote branding and market your company to the next great hire, whether they will join the company in a couple of months or a year from now. Campus recruiting strategy, along with employer branding strategies, need reviewing and revising annually. Adopt a fresh marketing strategy and increase your presence on campus will allow you and your organization to become a memorable brand to potential students. As a campus recruiter, you must keep yourself up-to-date with the ever-changing landscape, and yes, things are very much changing now. With the tech-savvy Gen Z and millennials reshaping the work world, your technical toolbox needs sharpening. 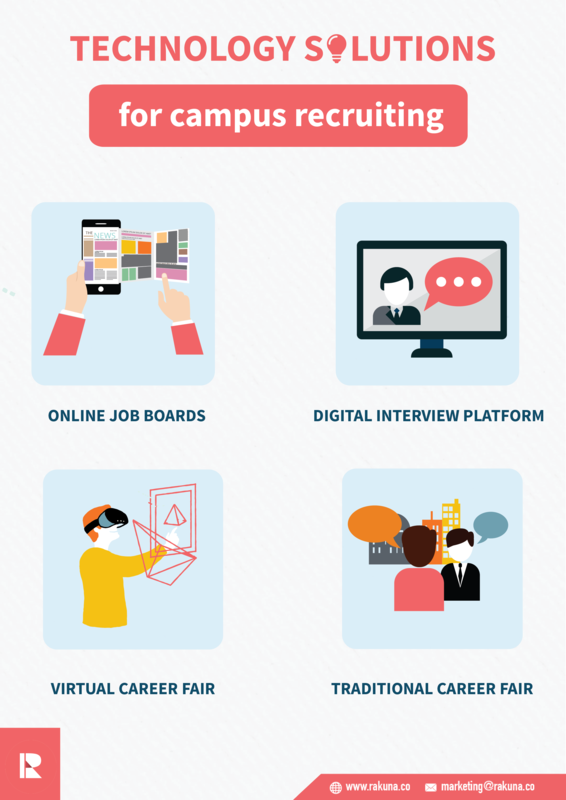 Let’s check out four have-to-know campus recruiting solutions for your successful campus recruiting strategy below. First of all, check out Portfolium, a leading e-portfolio network for students to present their academic work, skills and projects to employers. It is a rather cutting-edge cloud-based platform to curate candidate skills and credentials with style. In practice, Portfolium provides a digital portfolio that showcases the best qualities of students that simply cannot be indicated in a rigid resume format. Not to trample their fire, their team has put it beautifully: “Portfolium partners with colleges & universities to help students connect learning with opportunity. Our ePortfolio network helps 5M+ students from over 150 partner institutions manage their skills and launch their careers. Portfolium’s cloud-based platform empowers students with lifelong opportunities to capture, curate, and convert skills into job offers, while giving learning institutions and employers the tools they need to assess competencies and recruit talent”. As you know about the troubles of recruiting young people, you will be impressed with how Portfolium brings a view of a student’s abilities and builds a network of qualified candidates to help recruiters improve candidate quality, reduce hiring time and costs. If you need to cast your net wider through online sourcing, take a look at this platform. Career fairs and on-campus events are the fundamentals of any campus recruiting strategy, so of course you want to hit with maximum effectiveness here. At Rakuna, we have developed a targeted solution to the classical issues of campus and career fair recruiting. You are obviously no stranger to bloated paper trails, loss of candidate data, and stacks of clipboards after each career fair or recruiting event, which can actually be translated to a waste of time and reduced productivity. To help you overcome this nightmare, we provide a mobile solution for the campus recruiters to capture and evaluate candidates’ credentials in person, and a dashboard for the HR team to enhance the follow-up process and connect with young talent. 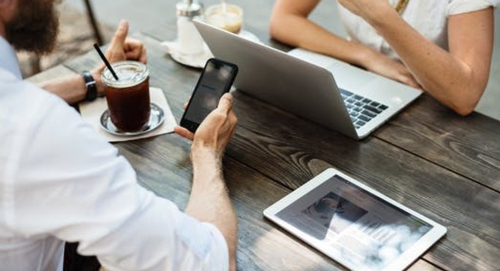 Unlike check-in solutions, our app allows recruiters to be completely engaging with candidates while gathering required information at fingertips. Imagine having a central online hub to manage your early-career talent pipeline. No more worry about your top candidates getting lost in a spreadsheet or pile of paper resumes in your filing cabinets, your ATS, or even the recycling bin. From filtering candidates by specific criteria, sending out bulk messages for follow-up, to collaborating with hiring managers, other recruiting team members, and having a visual, meaningful campus recruiting metric report at hand - you can have all done in one place using our platform. That is the kind of next-generation campus recruiting solution that we talk about. Besides traditional recruiting events, virtual career fairs are also an effective solution to hiring the best college students if you want to cast a wider net at a lower cost. When it comes to virtual career fairs, you can join broad-based virtual career fairs hosted by companies such as Monster.com, CareerBuilder.com, or organize your own. If you are keen on having your own virtual career fair instead, Brazen is worth your attention. Its cloud-based platform for virtual career fairs and networking sessions allow companies to hold online events with ease. The technology allowed for timed, one-on-one interactions via Web chat in which job applicants and recruiters can get to know each other without ever leaving their homes or offices. Campus recruiting often requires a great deal of budget and resources to reach all of the campuses you would want to, so live and on-demand video can be totally an asset. There is a mass of video interviewing software out there, but we believe HireVue is the pioneer in this area. 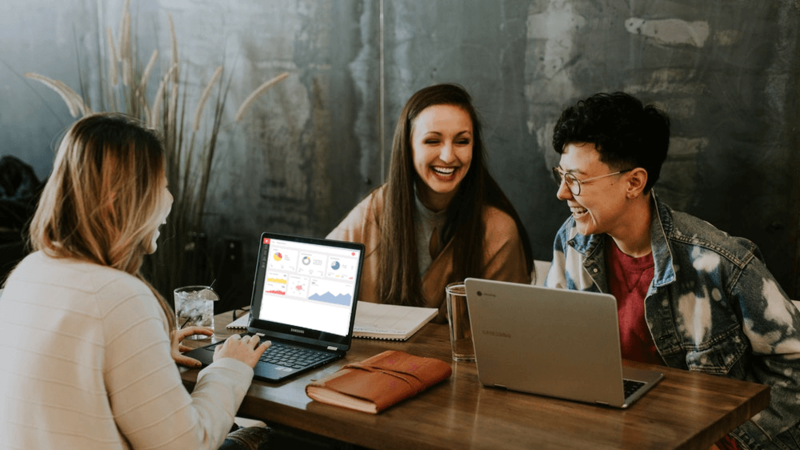 HireVue offers both asynchronous (one-way) and synchronous (two-way) video interviews, all the while making use of nifty extras like predictive analytics. In other words, it’s a cool format for checking more candidates in a shorter amount of time while at the same time, maximizing personalization and candidate experience. 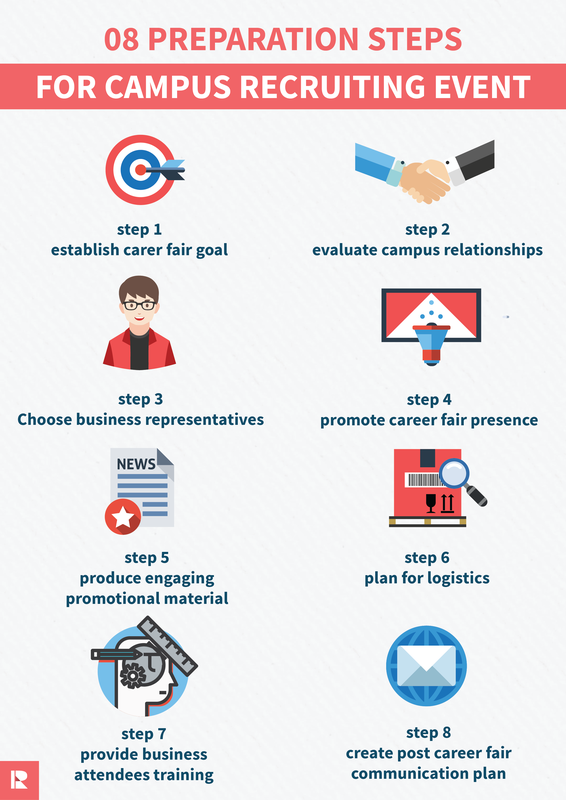 Below, we highlight the best 10 pieces of advice suggested by Career Services Professionals for working more efficiently and harmoniously with university career services and getting the right candidates for the job! There are many universities that offer career services to help students with their professional orientation and help to connect them with employers. It is beneficial to cooperate with those career offices to provide students with resume reviews, mock interviews, and career events. You might even propose a topic that has broad appeal, such as salary negotiation. This is a really great way to promote your company’s brand and leave a good impression on students as well as the university. In order to boost the image of your organization in university students’ eyes, companies should consider inviting alumni or peers to be their ambassadors. Employees who have a fresh outlook on the college-to-career transition are approachable and often raise topics of interest. Recent alumni can even be more effective ambassadors, whether or not they are formally part of the recruiting team. Surveys suggest that top performing students are increasingly interested in long-term career prospects within a company. As a consequence, career services offices have reported demand for more focus on company culture, advancement opportunity, and work-life balance. Offer office tours to student groups to present a complete portrayal of the workplace - including trade-offs - is a precious and important part of drawing and retaining prospective future employees. Sometimes, recruiters are too dependent on their company websites or print materials when they introduce their culture to students. In fact, hands-on introduction is the one that works much better. Students notice when company events and interactions reveal a diverse and welcoming population. “Don’t bring in a group of people with identical backgrounds, especially if you’re trying to engage a diverse pool of individuals,” says one panelist. From in-class presentations to shadowing days, there are many chances for businesses to work with university career services and stand out on campus. And don’t forget to update and improve your presentations after each event instead of using the same content and style every year. Also, don’t just read information from your leaflets or website since students can do it by themselves. What they need are the most unique features which they cannot find online or have to spend a lot of time summarizing or searching. Students find their recruiting process a lot more frustrating when encountering unresponsive employers, especially if the silence comes after an initial response or interview. It also causes a lot of difficulties for career services when they want to help their students communicate with employers. A powerful on-campus brand takes time to cultivate. “One year does not build a brand,” notes a panelist, adding that repeated presence makes a big difference. Focus on building and maintaining relationships with students and offering them with great workplace experience. eRecruiting allows recruiters to easily update students on the status of their candidacy, which are also shared with career services offices and are very much appreciated. Do you recruit from one or more universities on a campus? Consider holding an informational session in the classroom with the dean or a professor there. While these are incredibly powerful ways to get undivided attention from your grads, you can also pack a one-two punch by doing one before or after a career fair. Students are eager and willing to learn as much as possible about their new industry. Give them a leg up by creating an online community that publishes reports, industry trends, FAQs about jobs in the industry and even online learning curriculum that will prepare them for jobs in your organization. Work with the career center to create a hackathon (these aren’t just for computer geeks anymore) in any industry or support one in your space that’s already planned! Either way, it’s a fun and less formal way to get to know students. Once again, the career center and your recruitment event software can be your best friends in creating time outside the traditional career fair times to simply conduct interviews. Have an interview day with those you met at a career fair, or work with professors and alumni associations to fill up a day with pre-selected applicants. The career center can also direct students your way and WILL, if you help provide them with email templates, flyers and guides for their students. A huge trend throughout the United States is team hiring. Why NOT extend it to college groups? After all, in many cases, students are already working on teams to complete assignments and projects. Don’t have the budget to travel everywhere for events? Try video interviewing and screening. This is an efficient and easy way to see lots of prospects in a limited amount of time. In August 2017, Amazon hosted the largest recruiting event in the US, attracting a total of 20,000 applicants. As the company was expanding, there was a greater demand for those in the “fulfillment network”, which is where people to package the orders and deliver them. Amazon’s benefits package drew many with pre-payment for tuition and medical benefits for full-time positions. As a nationwide event, locations were set up in Maryland, New York, Washington, Ohio, Tennessee and many more. Guided tours of the facility were delivered to all the potential hires and interviews were held in tents set up outside. Ford Motor Company understands that organizing an on-campus car show is a great way to attract college students. And it actually proved its success and effectiveness through “Ford Days” events, showing that the car company has implemented an excellent recruitment marketing strategy. The series of events take place often at university campuses like MIT, UCBerkley, and UMichigan to attract the most talented students. Activities taking place during the events include a car display, meeting Ford team members, and a lecture by a company representative. This year, Ford Day at MIT will have Dr. Ken Washington, Ford VP of Research & Advanced Engineering and Chief Technology Officer, as the guest speaker. Students get the chance to spend a whole day finding more about the company and its job opportunities right at their campus. DeveloperWeek, attracting more than 8,000 attendees when taking place in San Francisco, New York, Chicago, and Austin, is one of the world’s largest developer exposition and technology conference series. IBM is just among many companies joining the Hiring Mixer at the event to connect with the most talented in the pool of candidates taking part in the conference. The week-long event includes multiple developer conferences, a hackathon, and the hiring mixer. 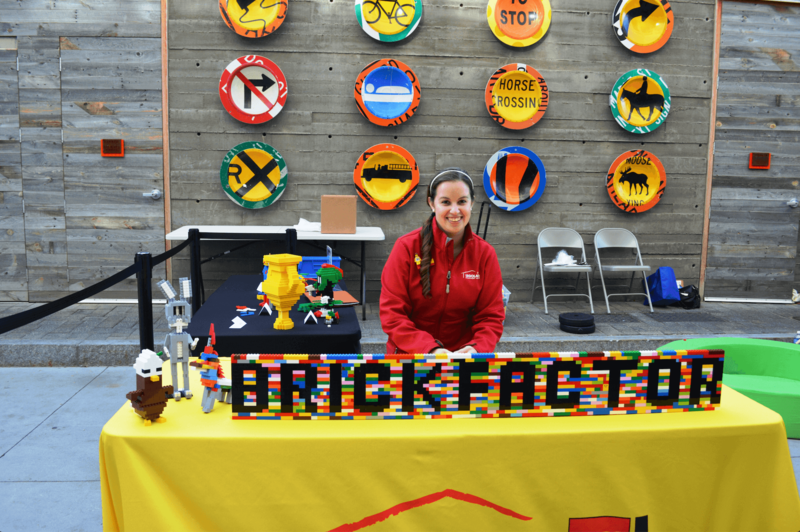 The LEGO Brick Factor is a nation-wide competition held by LEGO in which participants have to complete three building challenges to gain the title of Master Model Builder at a Legoland Discovery Center and the person will be hired on spot. The challenges require the builders to create pieces based on prompts such as “build something from your favorite book”. Children are invited to watch the competition and the builders are expected to interact with the kids. Ian Coffey, the winner of the Brick Factor in Boston, was chosen for his excellence in engaging the children. At one point, he stopped his work to ask the kids, “What blocks should go here? What color should this be?”. What can be a better way to see if a candidate can be successful at a job than hosting an event where they can prove just that! 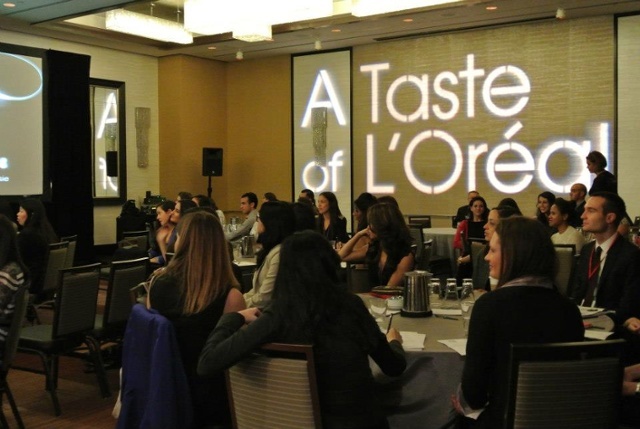 Every year, L’Oréal hosts “Taste of L’Oréal” - an internship recruitment program to offer around 100 undergraduates and graduates the chance to learn what it is like to work at the company. The event invites students to New York City for presentations from presidents of different Divisions, an in-depth orientation, and to work on a case study. Students can also learn more about career choices and have an opportunity to interview in-person for a position. Hackathon events usually attract a large number of programmers, developers, and coders, which is predictably often male-dominated. In fact, there are events that have a 15/85 female to male ratio. Seeing this, Spotify exerted their influence to promote a change. 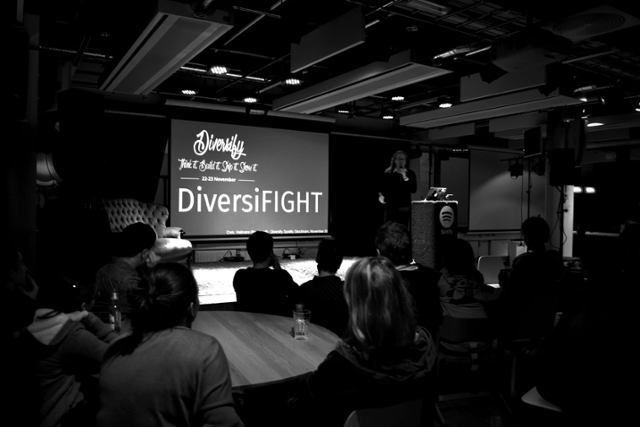 In 2015, Spotify hosted a hackathon named “Diversify” to attract 50/50 female and male participants. Spotify has worked hard to market this event beyond the usual Facebook hacker groups by means of word-of-mouth. Though coding a product was the key aspect of the event, there were also lectures and workshops with aim of stepping away from the traditional idea of a hackathon. 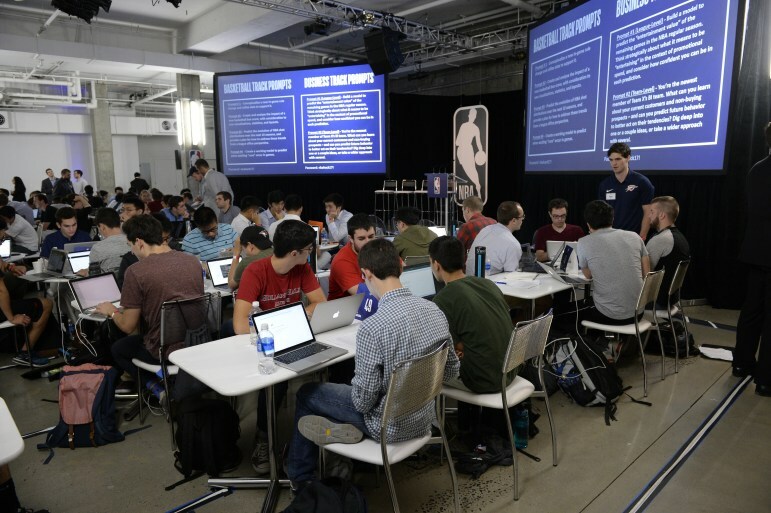 The company managed to pull in a 43% female and 57% male participant ratio, which was unprecedented at any tech events. To carry out their jobs, campus recruiters depend on a number of tools to help them connect and keep in touch with talent. For instance, instead of posting job ads or internship opportunities on traditional sites, where they can get lost in a bunch of things like that or attract ones that are not suitable, they find other places. Rakuna is the campus recruiting platform that helps employers and recruiters redefine how top employers recruit young people. The Rakuna Solution Suite includes a simplest mobile app, Rakuna Recruit, and an applicant relationship management dashboard, Rakuna Recruit Dashboard. We are how companies hire millennials. What are some features of Rakuna Recruit App? Fully engaging experience: Leave an impression on your student candidates with paperless technology. Get rid of conversing and connecting with them manually. Instant and easy data access: Our intuitive design requires no user training. Make your career fair experiences fun and easy with Rakuna’s intuitive app. Professional and streamlined solution: Make a connection with college students and impress your colleagues with a paper-free, eco-friendly smartphone app. With Rakuna Recruit Mobile app, recruiters can capture prospective candidates’ information instantly at the point of contact, utilize a customized evaluation form to gather additional data, and rate candidates immediately as the conversation with candidates happen. Unlike check-in solutions, Rakuna Recruit allows recruiters to be 100% engaging with candidates while collecting required information at fingertips. How Rakuna Recruit Dashboard benefits your college recruiting strategy? Making your game plan: Reach an agreement with your teams on common goals, forms, and questions that all candidates can get access to during the job fair. The dashboard helps to track time, staff, and attendees in advance. Engaging top talents: Connect with applicants and utilize standard forms to get rid of the administrative side and focus on discussing career options, goals, and ideas with millennials. Beat the competition: Get a headstart on other businesses by using the information made immediately available at your fingertips. Scroll through resumes and follow up with your favorite candidates. With Rakuna Recruit Dashboard, recruiters can dive deep into metrics reports, design evaluation forms, collaborate with hiring managers and recruiting team, and customize automated follow-up emails to candidates to improve candidate relationship management. To learn more, contact sales@rakuna.co. For more tips and tricks on campus recruiting and college recruiting, visit our blog at www.rakuna.co/blog, subscribe to “In & Outs of Recruiting Millennials” vid-cast, and join the conversation on our LinkedIn Group. Get The Ultimate Master List of US Career Fairs Fall 2018 - Spring 2019 (Updated) NOW!